"When I called the Law Offices of Robert Koenig they were able to get all of my medical bills taken care of, my car paid for, and I recieved a HUGE settlement check! Thank you so much Robert and Bryan, I don't know what I would have done without you!" Get your car out of the tow-yard. Get you reimbursed for your out-of-pocket expenses. Get your car repaired or top dollar replacement value. Get you the best medical care and get your medical bills paid. Get your lost income and wages. Tell you how much your case is worth. Fight to get you the Maximum Monetary Recovery. If you already have a lawyer, we will advise you how to change to be represented by us for no additional fee or cost. 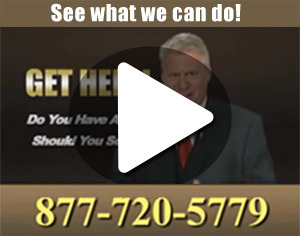 Free Case Evaluation with a Top Attorney 24/7. 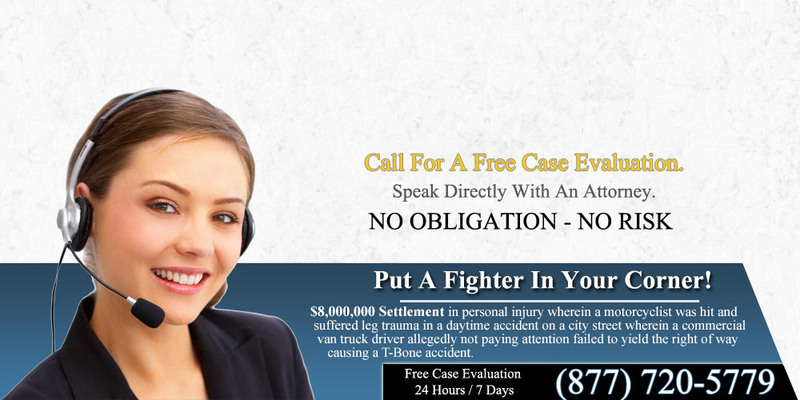 We are Car Accident and Injury Professionals. California car accident attorneys Robert Koenig and Bryan Nguyen and their firm are recognized as California's premiere Car Accident Injury Law Firm. Because we specialize in car accident and injury cases. We have the Highest Settlement Success Rate (95%). We are available to you any time of day. Call us 24/7. We are the actual lawyers handling your case — We are NOT part of a referral network. We will come to you — at home, hospital or work and we have same-day appointments available. When you call us, you will be able to speak with Robert Koenig or Bryan Nguyen personally. The law provides accident victims and injured people with valuable rights that they must take advantage of immediately. Do not guess about the value of your case or vehicle. You will waste time and evidence will be lost since witnesses are apt to forget and police reports can take forever to receive. The statute of limitations will pass you by and your case will be defunct. Do not delay, call today! Our accident attorneys have collected over $150,000,000 on behalf of our clients in the past 10 years and have successfully settled cases out of court 95% of the time. You will not need to go to court if you work with our experienced team. Adjusters deal with an injured person ONLY ONCE, but they have to deal with us EVERY DAY! There are 10 tricks insurance adjusters use that cost you lots of money. We'll tell you 3 questions to ask the adjuster that will test whether they are treating you fairly or not. Insurance Companies are OBLIGATED to their stockholders AND the NEGLIGENT person who caused your injuries - NOT YOU! Insurance Companies have enormous ADVANTAGES: vast wealth, armies of clever adjusters and lawyers, and at least 67 LEGAL DEFENSES to minimize or deny you the compensation you deserve. There is NO LEGAL FORMULA regulating the compensation due to an injured person. If you were injured by an UNINSURED MOTORIST, your own company is your OPPONENT, even though YOU MUST COOPERATE with them! See a Doctor IMMEDIATELY - Your injury could be more SERIOUS than you realize. If you don't have a doctor, we'll help you find one. Call IMMEDIATELY if the adjuster asks you to see a "Company Doctor". DO NOT accept an "OFFER" unless you get a FREE SECOND OPINION from us. DO NOT give a STATEMENT to anyone - it's EVIDENCE and can be used AGAINST YOU! DO NOT USE LEGAL CLINICS. They handle ALL kinds of cases-they even DEFEND drunk drivers! WE SUE DRUNK DRIVERS! 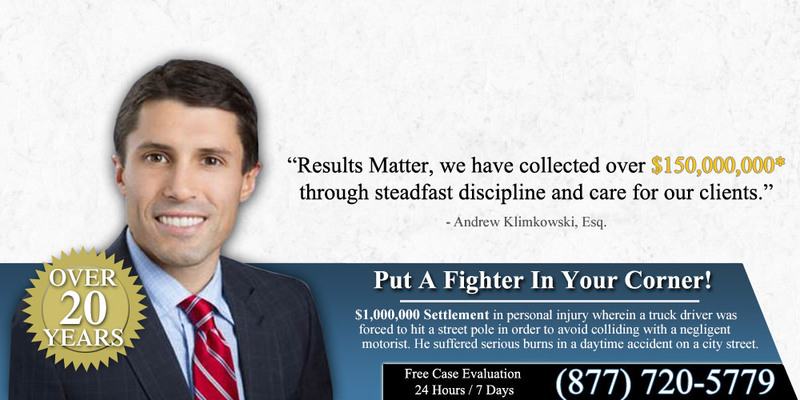 When you're injured, you need an experienced accident law firm on your side that FIGHTS FOR YOU! Never hire a lawyer referred by a stranger! Do "Cut-Rate" lawyers get "Cut-Rate" RESULTS? Do they REALLY charge lower fees? Read the fine print! The law firm you choose can make a big difference. We can tell you the 3 QUESTIONS to ask any lawyer you call that will help you choose the RIGHT ONE. Who are the lawyers they refer people to? What are their qualifications? Do they DISCLOSE the fact that those lawyers PAID to be on their list? Is that how they are found to be "qualified"? When you call US ... you know WHO we are, WHAT we do and WHO IS RESPONSIBLE! Our FEE is "Contingent" - it's a PERCENTAGE of the MONEY collected for you payable ONLY when your case is SUCCESSFULLY completed. ALL COSTS necessary to PROVE how the accident happened and to MAXIMIZE the VALUE of your case are ADVANCED. If no money is collected on your case, YOU OWE NOTHING for FEES or ADVANCES. You have NOTHING to lose. We can find out if you are entitled to BENEFITS from "COLLATERAL SOURCES" and if a "STRUCTURED SETTLEMENT" is right for you. "SPECIAL NEED TRUSTS" for the seriously injured. When we handle your injury case, we'll help you handle your AUTO DAMAGE claim and we'll help you get a good deal on a RENTAL CAR!